1.) Speed transfers up to 18 GB per minute. 4.) Data Sanitization: quick erase, full erase, secure erase, and DoD erase. 5.) Open platform design supports multi-interface HDD/SSD. 7.) Log report management records all task details for enhanced production management. 1) Speed transfers up to 3.9 GB per minute. 4) Data Sanitization: quick erase, full erase, secure erase, and DoD erase. 1) Clones hard disk data sector by sector. 2) Supports hard drive capacities of 9TB or greater. 3) Speed transfers of up to 9 GB per minute. 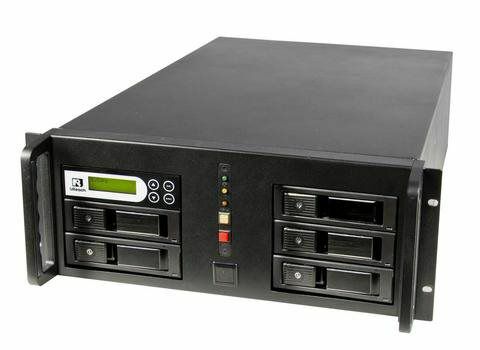 4) Supports all major OS: Windows, Mac, Linux, proprietary systems (RAID*) and other standalone systems. 5) Data Sanitization: quick erase, full erase, secure erase, and DoD erase. 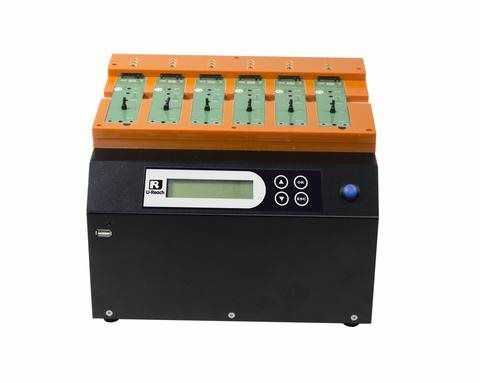 6) It supports the DX115 DC Carrier and is currently the biggest CRU HDD duplicator on the market. 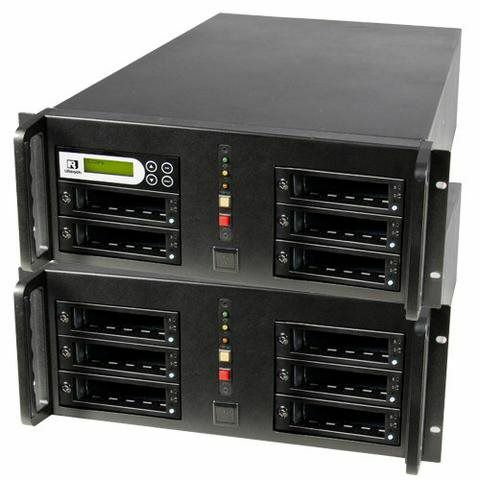 2) Supports 9TB or greater hard drive capacity. 3) Speed transfers up to 9 GB per minute. 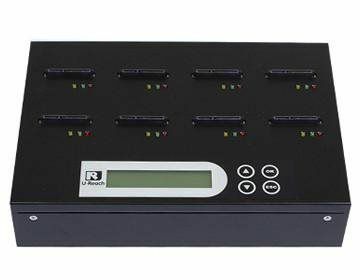 7) Supports various HDD interfaces: 2.5"/3.5" SATA, ZIF HDD and SSD. 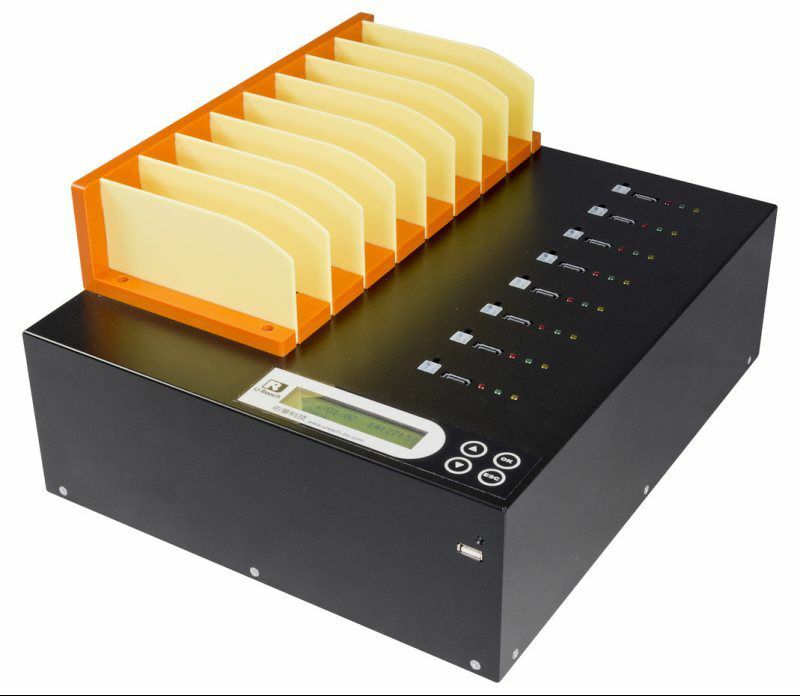 1) Standalone, no PC required to operate the duplicator. 2) Speed transfer up to 3.9GB per minute for each port. 3) 3 copy modes: quick copy, all partitions copy and whole media copy. 5) Supports all data formats while copying in bit for bit duplication. 6)Quick copy mode supports Linux (ext2/ext3/ext4) and NTFS, FAT16/32. ⊙ Data Sanitization: Quick Erase, Full Erase, DoD Erase and DoD Erase + Compare. ⊙ Open platform design supports NVMe & SATA Express M.2/U.2(via adapter)/PCIE SSD. ⊙ Log report management records all task details for better enhanced management. 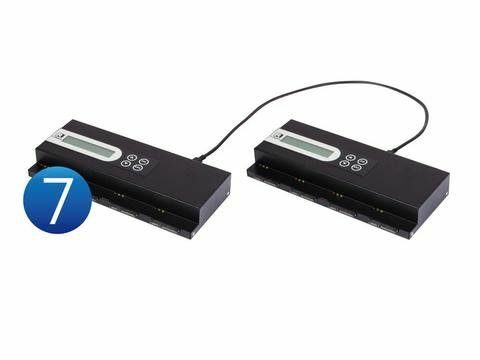 ⊙ Cable free connection for easier M.2 connection and disconnection. 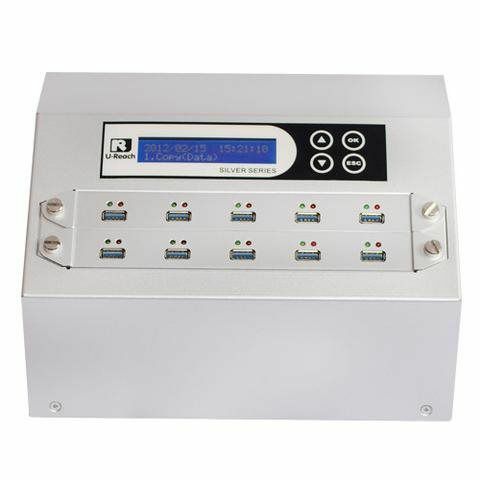 ⊙ Supports SATA I/II/III and 4Kn HDD.